42 Commonwealth is located on the south side of Commonwealth, between Arlington and Berkeley, with 38-40 Commonwealth to the east and 44 Commonwealth to the west. 42 Commonwealth was built ca. 1864, one of two contiguous houses (42-44 Commonwealth). The land on which 42-44 Commonwealth were built was part of a larger tract of land originally purchased from the Commonwealth of Massachusetts on May 2, 1860, by shipping merchant and US Congressman Samuel Hooper. He and his wife, Anne (Sturgis) Hooper, lived at 27 Commonwealth. 42 Commonwealth was built as the home of Mrs. Jane Hereford (Hallett) Sayles, the widow of Francis Willard Sayles, and their daughter, Laura Larned Sayles. Francis Sayles’s brother-in-law and sister, John Cauldwell Sharp and Helen (Sayles) Sharp, lived at 40 Commonwealth. Francis Sayles had been a textile merchant in his father’s firm, Sayles, Merriam & Brewer. He was one of 45 passengers killed on May 6, 1853, when a New York & New Haven Railroad train went through an open drawbridge into the Norwalk River. In his will, Francis Sayles left the bulk of his estate in trust for his daughter, Laura, with his father-in-law, newspaper publisher and attorney Benjamin Franklin Hallett, and textile broker James Alexander Dupee as trustees. On June 13, 1862, they purchased the land on which 42 Commonwealth was built from Samuel Hooper. Click here for an index to the deeds for 42 Commonwealth. 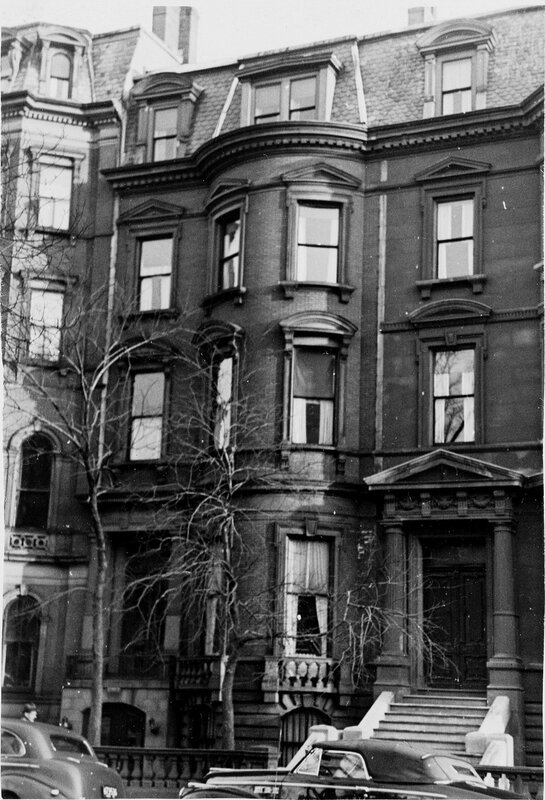 Jane and Laura Sayles continued to live at 42 Commonwealth in 1868, but had moved to 23 St. James by 1869. On February 2, 1869, 42 Commonwealth was purchased from Laura Sayles’s trustees by Jonathan French, a shipping merchant. He and his wife, Hannah Weld (Williams) French, made it their home. They previously had lived at 505 Warren in Roxbury. Living with the Frenches were their four adult children: Caroline Louisa Williams French, Aaron Davis Weld French, Cornelia Ann French, and John Davis Williams French. Aaron D. W. French was a shipping merchant in the Chinese and Japanese trade. He married in February of 1877 to Elizabeth French Davis. After their marriage, they may have lived briefly with his parents, but by 1879 had moved to 9 East Newton to live with her widowed father, George H. Davis. By the 1883-1884 winter season, they lived at 33 Fairfield. Hannah French died in October of 1878 and Jonathan French continued to live at 42 Commonwealth with their unmarried children. They continued to live there during the 1895-1896 winter season. 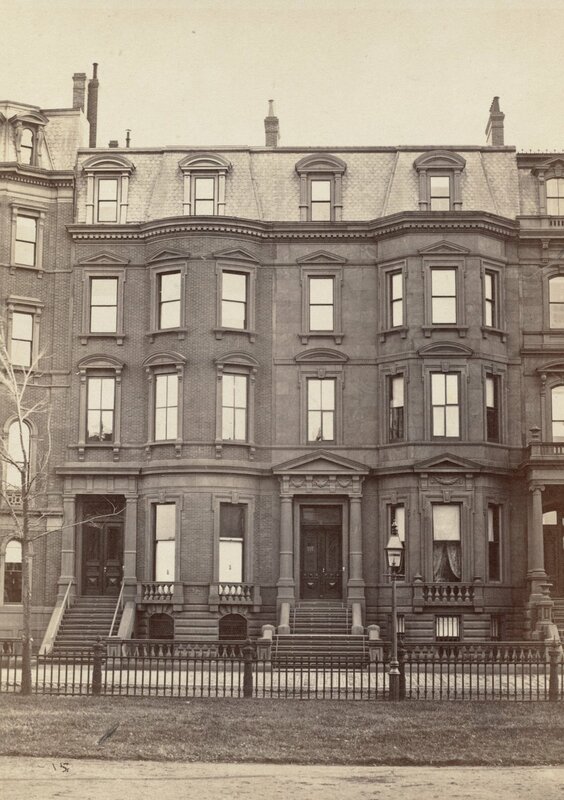 By the 1896-1897 season, Jonathan French, John D. W. French, and Cornelia French had moved to 230 Marlborough. Caroline French does not appear to have moved with them, and may have been traveling. 42 Commonwealth was not listed in the 1897-1902 Blue Books. John D. W. French died in May of 1900 and Jonathan French died in May of 1901. By the 1902-1903 winter season, 42 Commonwealth had become the home of Caroline L. W. French. She also maintained a home on Nantucket and was a major benefactor of that community. In 1897, she purchased the Nantucket Windmill and contributed it to the Nantucket Historical Society, and in 1901, she underwrote the construction of St. Paul’s Episcopal Church, dedicated in the memory of her father. Caroline French died in October of 1914. On May 21, 1917, the trustees of Jonathan French’s estate transferred a fifty percent interest in 42 Commonwealth (and several other properties) to the Diocesan Board of Missions of the Protestant Episcopal Church in Massachusetts. The transfer represented the interest held for the benefit of Caroline L. W. French during her lifetime under Jonathan French’s will. Cornelia French died in March of 1918. On September 10, 1919, the College Club acquired 42 Commonwealth, including the fifty percent interest held by the Diocesan Board of Missions and the remaining fifty percent interest held by the trustees of Jonathan French’s estate for the benefit of Cornelia French during her lifetime. 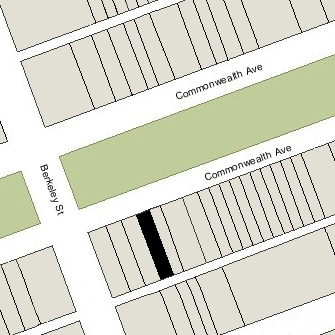 The Club already owned 38-40 Commonwealth and in December of 1919, it applied for (and subsequently received) permission to cut through openings in the party wall with 40 Commonwealth and lower the front entrance of 42 Commonwealth to sidewalk level. In the mid-1920s, the Club acquired 44 Commonwealth and subsequently cut through openings in the party wall with 42 Commonwealth. On July 15, 1974, 38-40 Commonwealth and 42 Commonwealth were acquired from the College Club by Thomas J. Dokton and his wife, Monique L. (Eisenberg) Dokton. The Club retained 44 Commonwealth. In September of 1975, Thomas Dokton filed for (and subsequently received) permission to convert 42 Commonwealth into four apartments and twelve lodging units. In July of 1977, the Doktons converted 38-40 Commonwealth into condominium units. They continued to own 42 Commonwealth. Monique Dokton died in February of 1984 and, on October 31, 1986, Thomas Dokton sold 42 Commonwealth to Philip K. Murray, trustee of the 42 Commonwealth Avenue Trust. 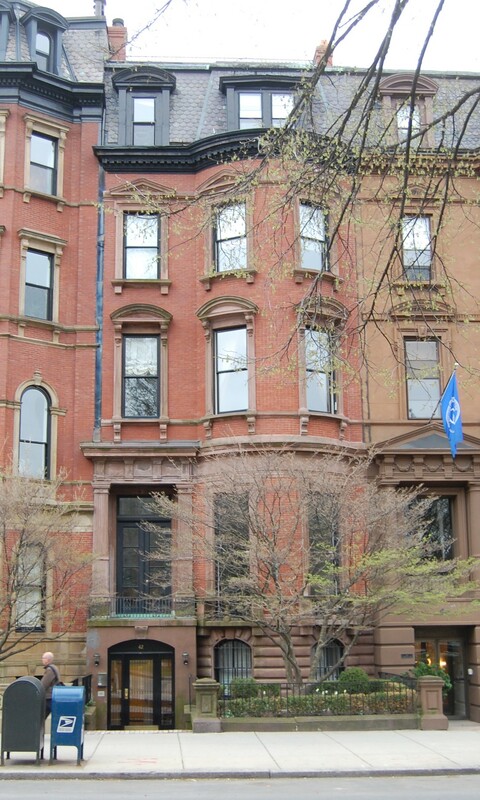 On April 7, 1987, Philip Murray converted the property into ten condominium units, the 42 Commonwealth Avenue Condominium. 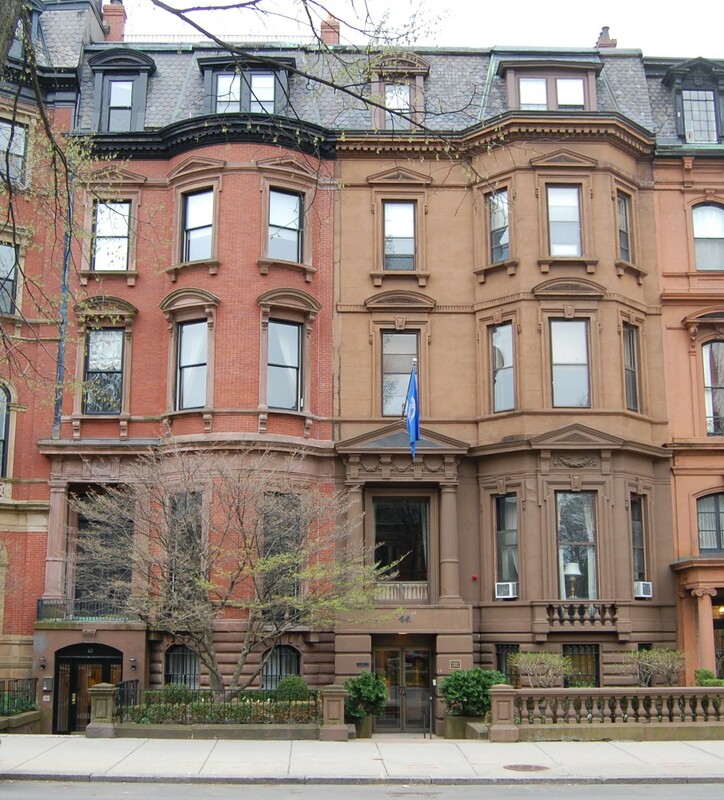 In June of 1987, Dennis Stackhouse on behalf of the 42 Commonwealth Avenue Trust, filed for (and subsequently received) permission to remodel the property into five apartments, and on November 1, 1989, Philip Murray amended the master condominium deed to reduce the number of units from ten to five units.